TRAIN ON THE BRAIN is a celebration of life, humour, freedom and humanity. 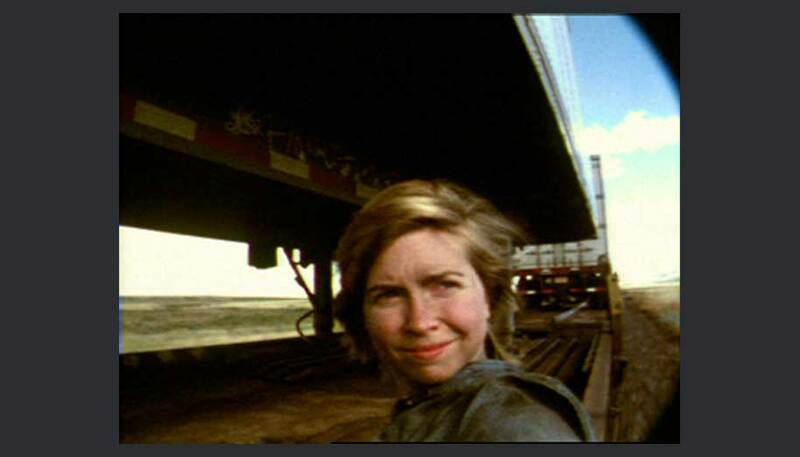 In the summer of 1999, director Alison Murray spent two months criss-crossing the U.S. and Canada as an illegal stowaway on freight trains. Armed with a DV camera and Super 8, she documented her experiences with the young people she met riding the rails. For those who assumed the hobo died out with the American Depression, TRAIN ON THE BRAIN is an eye-opener. The tradition continues today with disenfranchised youth drifting across the country with little more than a sleeping bag and a can of beans. Viewers share Alison’s trials and tribulations as a first time train-hopper. What draws people to this kind of adventure – necessity or wanderlust? On her journey over several thousand miles of railroad, Alison’s travelling companions include Lindsay, a sixteen year old runaway, trying to get to San Francisco; Steve, a homeless 24 year old who eventually gives up on the trains after a brutal run-in with the Canadian police; and Wendy, one of the few solo female train-riders. Their adventures include a ride in the Box Car from Hell, a 3-day journey in the wrong direction and a visit to the 99th Annual Hobo Convention for the crowning of the Hobo King and Queen. The film weaves together the different characters’ stories with breath-taking footage of the North American wilderness. The country looks very different from the unique perspective of an open box car, grainer or ‘piggy’. Here are views of the near desert of Montana, the lush, endless farmland of North Dakota and the grandeur of the Rocky Mountains usually only seen by train drivers!